KEN YUSZKUS/Staff photo. Salem police sgt. 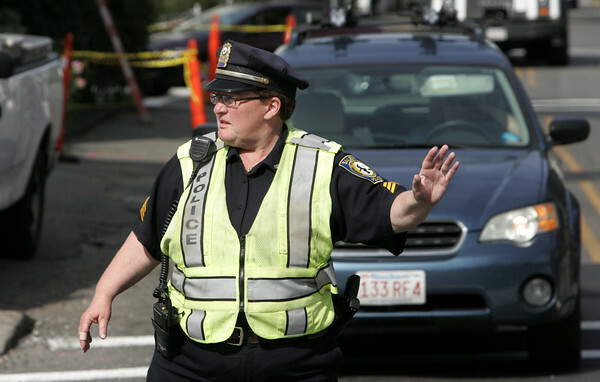 Kathleen Makros directs traffic at a traffic detail at the intersection of Webb and Essex Street in Salem on Friday morning. 9/25/15.